Every now and then, I get this sudden urge and attraction to big bold prints (especially floral) and I think this may come from my love of the dessert or anything tropical. (At my core I am a pretty basic, solid color palette kind of person). Or maybe my inspiration comes from the fact that I live in one of the most naturally beautiful cities (Vancouver) in the country? Either way, it seems like the rest of the world is on a huge nature kick this season and I'm diggin' it. One of my favourite purchases this year was this "Palm" jumper by WHIT from Violet Boutique. My moto: If I can't get to anywhere tropical I will wear something tropical. Not typically one for back packs but this "City Pack" by local company Herschel, got the right idea on the print. You can blend in while you go hiking up Grouse mountain or day tripping in Whistler. Oh, and don't forget about your mobile device! Rifle Paper Co has some adorable phone cases that I have available for sale. 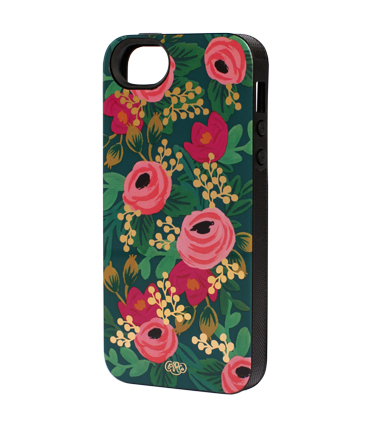 Like this Rosa floral printed iPhone 5/s case. It's a double inlay case that provides you great protection - It's function and fashion all in one. So, tell me...is nature calling for you?